Today I got a vintage quilt top in the mail. I don’t know the pattern source so I can’t say what the age is or the name of the pattern. 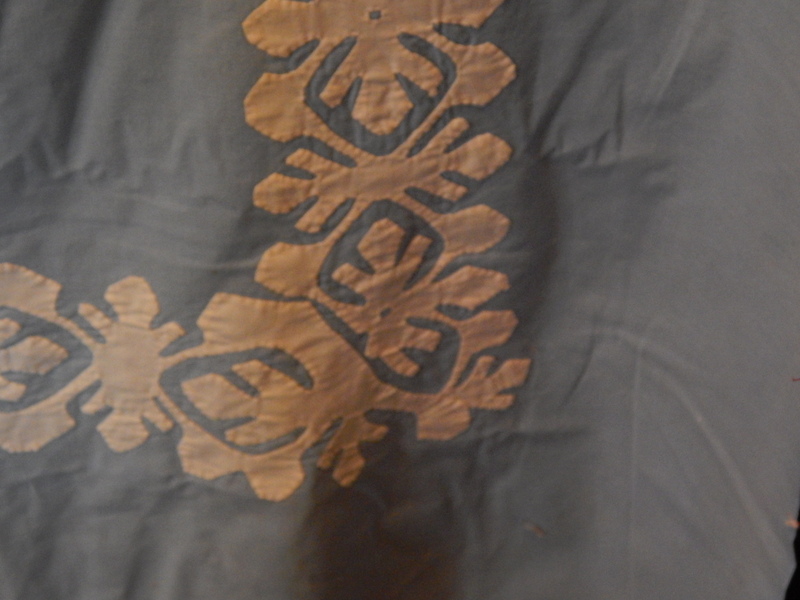 It was made like a snowflake by folding and cutting, and it looks like a snowflake so that Is what I am calling it. This entry was posted in Quilts and tagged quilt, Quilting, vintage quilt top. It looks like Wedgewood – Jasperware. You will make this one Shine ! Teddy likes it, too ! Tim, Don’t take it personally (ha,ha). You know how some women love a man in uniform? Well, I love anything in fur and Teddy sure qualifies. Have a great day! I agree completely that the quilt has the look of Jasperware, or the ceilings in some of the really old estates in England, with just a hint of Hawaiian technique thrown in. 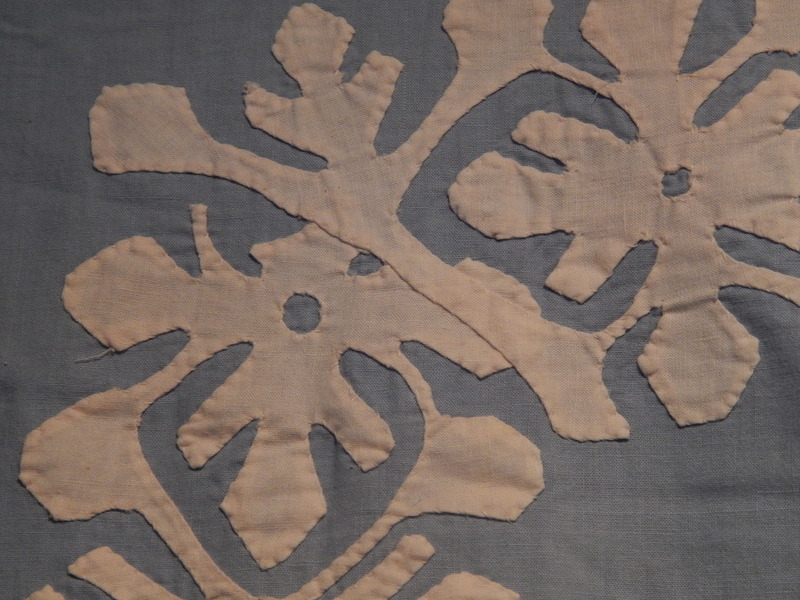 Then colors could not be more perfect for a snowflake quilt. They are the colors of snow on a winter’s eve. I see only one corner that seems to be “off” a little – the lower left,. If it bothers you, you could always cut a little piece tom tuck in there – perhaps part of a snowflake, or a wee silhouette of Teddy! He stands out beautifully against this gorgeous quilt. 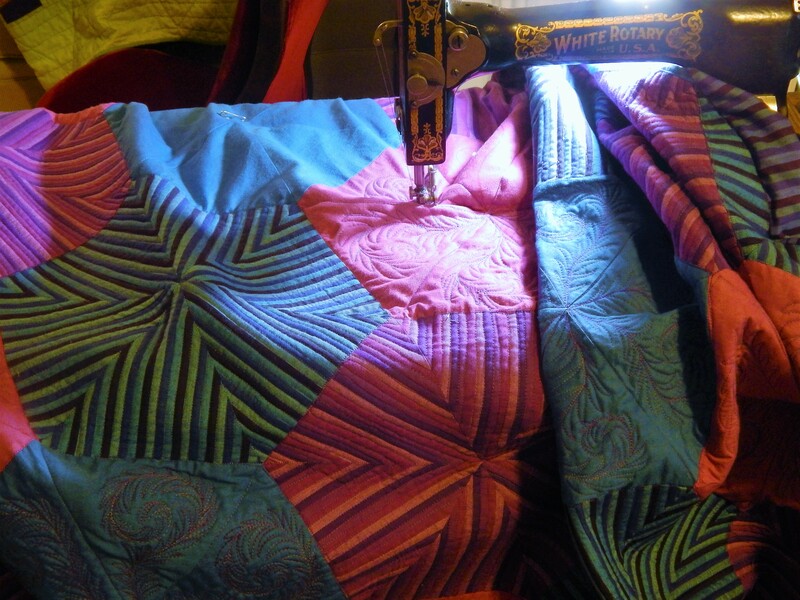 Do you have a plan yet for the quilting? You certainly can find the treasures. 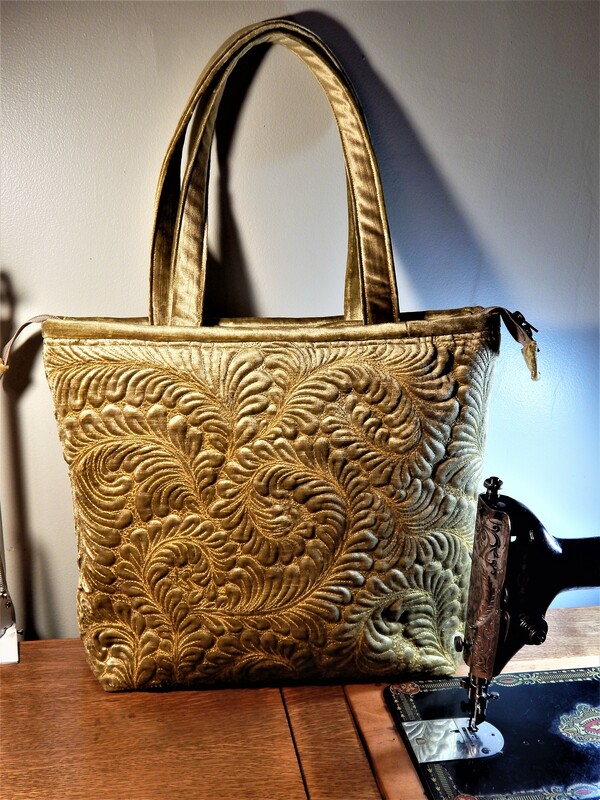 Did you draw out the design and applique it? Wow, I love the colors and who wouldn’t want this quilt top. 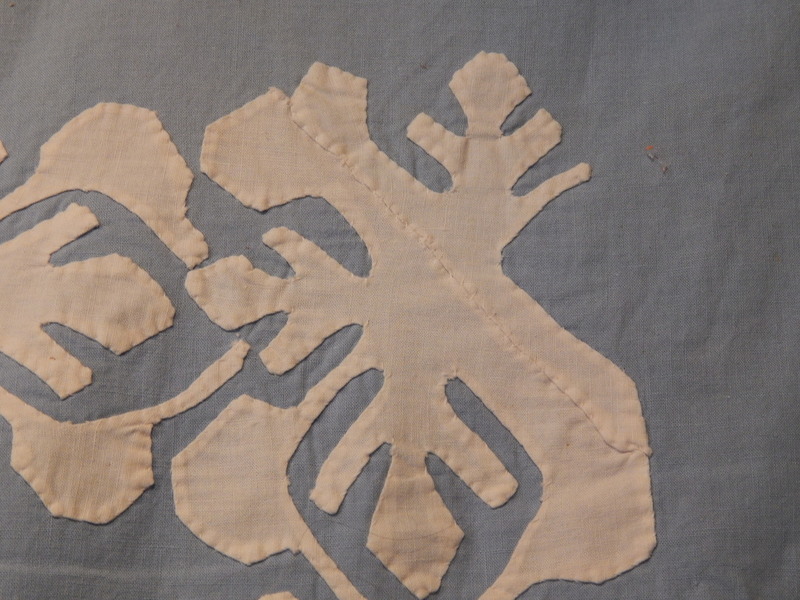 Thank you for sharing another great older quilt. Isn’t this is the schnitte tradition — at least the design if not the technique? Did it come from anywhere near that region in PA? Ah, hmm…yes, that does strike a distant bell. The color, though — you’re right. Pretty rare all around. Love, love, love this quilt! Very lovely quilt top and I know your quilting will greatly enhance it, with Teddy supervising, of course. 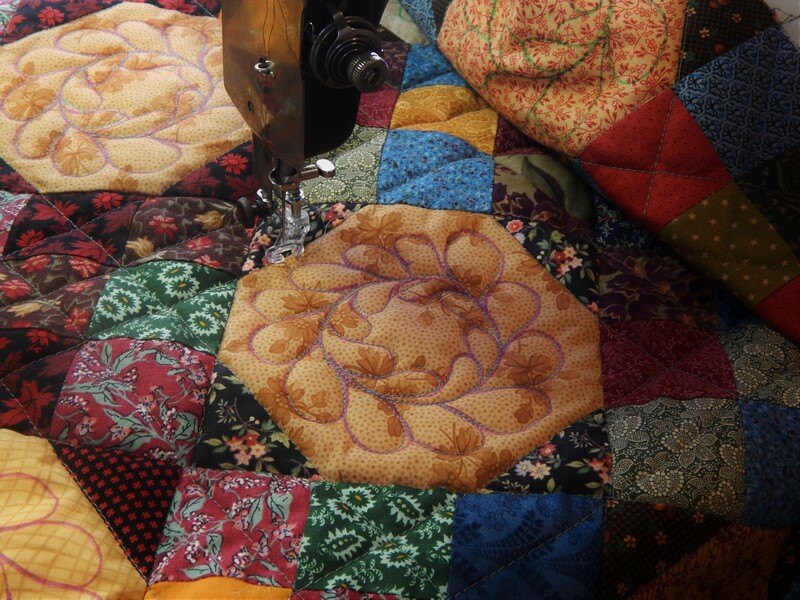 Love the quilt–can’t wait to see what you do with it. I also saw the very nice article about you in QN–well done. Too bad there was a photo of the Quilt Inspector 😉 . I was pleased to see the article about you in Quilters’ Newsletter. 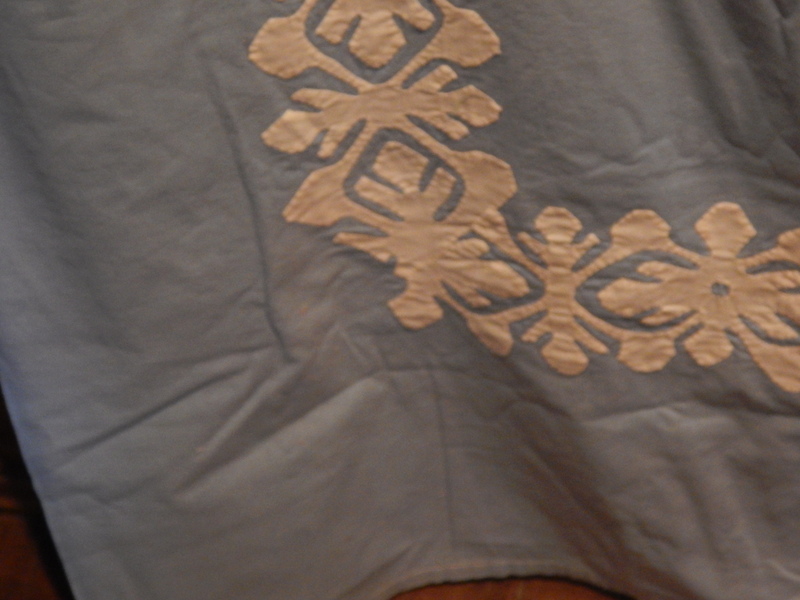 You kept your snowflake designs a secret this time. what designs are a secret? HOLY MOLY!!!! I go away for a bit and come back to “SNOWFLAKES”. Oh my gosh I love them…and that quilt is fabulous. 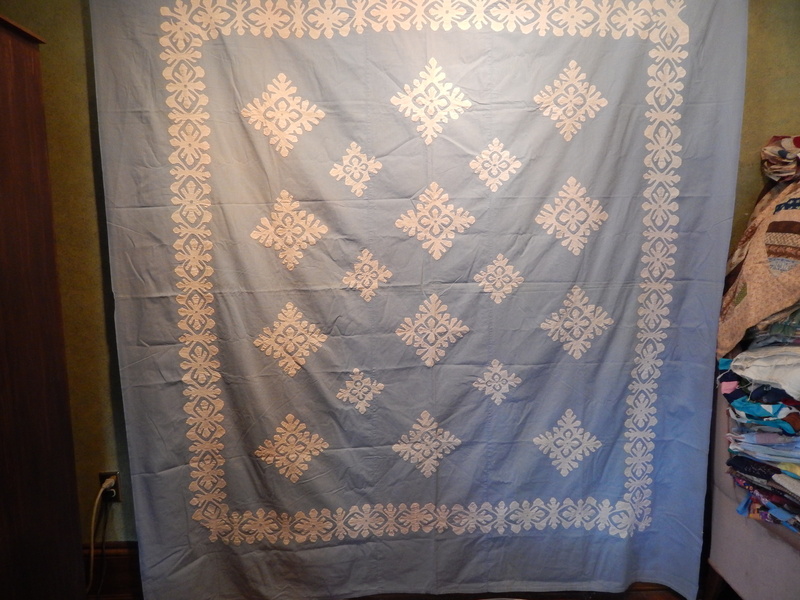 I have made my own snowflake quilt (each one different)…but I never tire of seeing ones that are new (to me) . 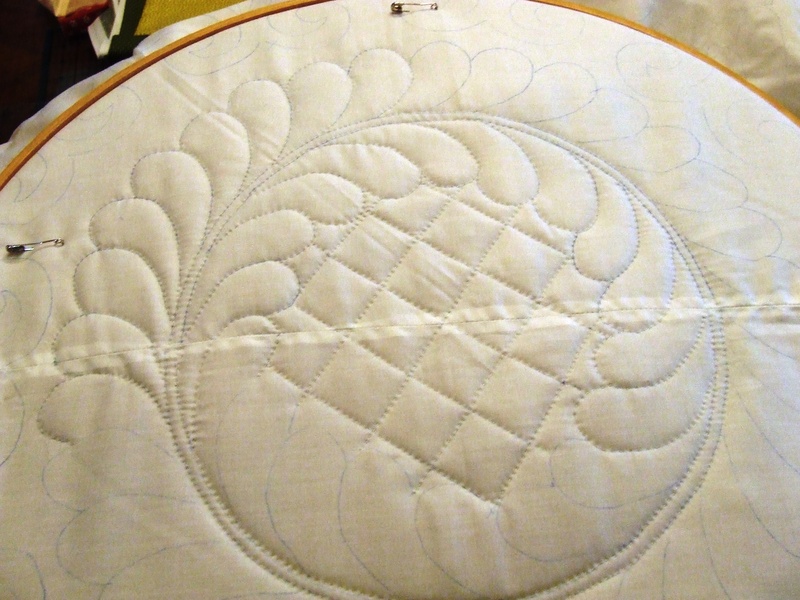 I can hardly wait to see that one quilted!! BTW, doesn’t Teddy look fabulous next to it…blue and white…can’t go wrong. And I never tire of seeing YOUR special snowflakes as well.